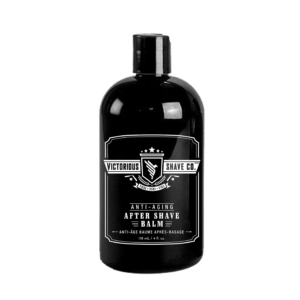 Victorious After Shave Tonic helps to restore your natural skin moisture balance after each and every shave done at home. It easily gets blended into your skin and closes all the pores to prevent the dirt enter into your skin. It doesnot cause any kind of irritation to your skin. This after shave tonic is one of a kind and is not available in stores in Canada. We have specially designed our beard care products for men with all types of skin types and they all are vegan. This after shave tonic formulates your skin to give a soothing after shaveeffect. Take few drops on a cotton ball and rub it on to your face after doing the shave. As it will nourish your skin and make it soft. You can use it everytime after shaving your beard with Victorious Shaving’s Shaving Cream for better results. It will giveyour skin a soothing effect that you will get amazed. Excellent and pure natural products. I really like this scent of this tonic, feels good on my shaved face. Not only scent but also affordable products. I would purchase this product again and would try the balm aftershave next time. I use this aftershave tonic daily. As an aftershave it soothes sensitive areas of the neck and face to keep away razor burn. I personally love that it is completely formulated with natural ingredients, so you don’t get that strong burning sensation after applying it.